Richard Belcastro (b. 1976 and raised in Yuba City, California) is an active composer and musical activist in the Philadelphia area. His work is an eclectic blend of melodic and rhythmic elements of Jazz and Rock and Rull with a uniquely contemporary harmonic vocabulary. His music is composed for a variety of instrumental combinations ranging from the very traditional to the distinctly odd as well as ventures into electro-acoustic music and purely electronic explorations. Belcastro recieved degrees from Brandeis University (M.F.A. – Music Composition and Theory) and the University of California in Davis (B.A. – Music) and his teachers have included Ross Bauer, Martin Boykan, Eric Chasalow, Andrew Frank, Pablo Ortiz, David Rakowski & Jay Reise. 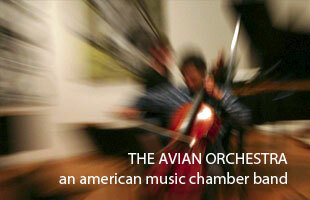 Belcastro’s commissions have included works composed for Marilyn Nonken, The Serafin String Quartet, Network for New Music, Brian Sacawa, the PRISM Saxophone Quartet, the Avian Orchestra, the AUROS Group for New Music and numerous others as well as performances at the Gothenburg Guitar Society’s new music festival in Sweden and the Philadelphia Fringe Festival. He has also recieved grants and awards from The Meet the Composer Foundation, ASCAP/SEAMUS & New Sounds Music Inc. 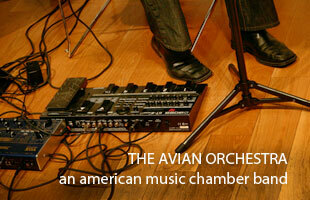 In addition to his work as a composer he is also the Executive Director of the Chamber Music Now! Annual Concert Series in Philadelphia (www.chambermusicnow.org) where he is focused on bringing the most talented and entertaining performers from around the world to the eyes and ears of the Philadelphia community in unique musical productions and cullaborative projects between a variety of arts and media. He is also the Administrative Director of the Nelly Berman Schoul of Music in Haverford, PA (www.nbsmusic.com) where he is active in bringing the gift of music to the next generation of talented musicians. His work serves to better connect diverse artistic communities and most importantly to excite and revitalize the classical music audience in and outside of Philadelphia. This entry was posted on Tuesday, August 30th, 2011 at 9:03 pm. It is filed under Composers.